I would like to inquire about your property Bayut - HRE-R-3710. Please contact me at your earliest convenience. Harbor Real Estate is honored to present this Spacious 3 Bedroom Fully Furnished Apartment with large Balcony and view of Shoreline Community. Vacant and ready to move-in plus CHILLER and 1 MONTH FREE! - Fully furnished with clean, stylish and elegant furniture. - Spacious Living and dining area. - Large Balcony with lovely Sea View. - Swimming Pool & Gym. 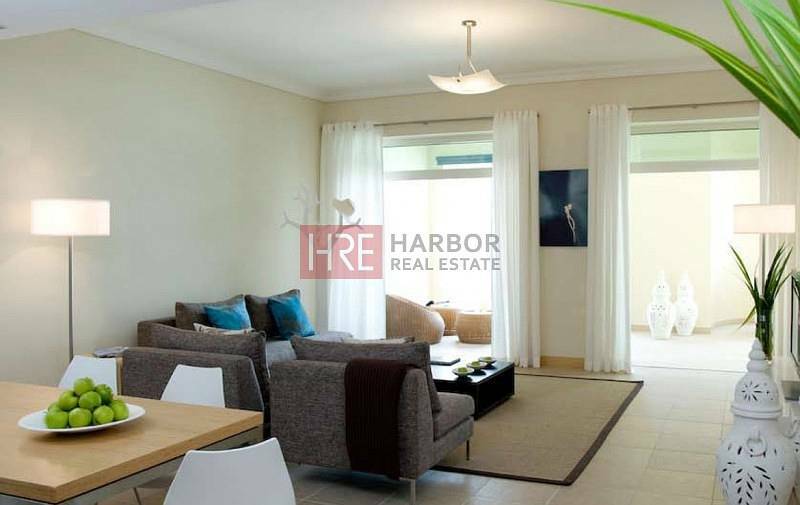 This ocean-facing Residential Property is one of the buildings on the popular Eastern side of the trunk of The Palm Jumeirah. Its apartments all have direct access to the Beach with many of them facing the 7-star Burj Al Arab Hotel.